The IFBA Certification Body meeting ended this week in Ottawa, Canada, with a number of far reaching decisions for the future of the professional certification program. 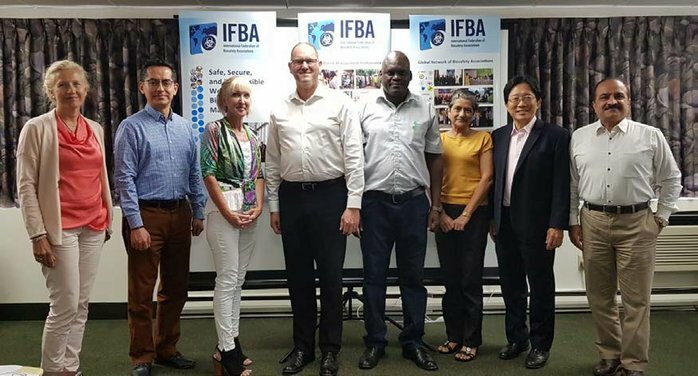 The meeting began with a review of past accomplishments and progress towards achieving the program’s 5-year strategic goals as set out by the IFBA’s Board of Directors and Member Associations in 2016. The review reinforced the Certification Body’s confidence that certification of competency in biorisk management and related technical disciplines remains a worthy goal. In looking to the future, the Certification Body agreed that engaging our growing international network of certified professionals and championing their successes is a top priority. Certified professionals are the best ambassadors for the program, and can offer support to new candidates, their institutions, governments and each other. The Certification Body also highlighted the need to reach new audiences and optimize IFBA’s mobile web and social media presence.